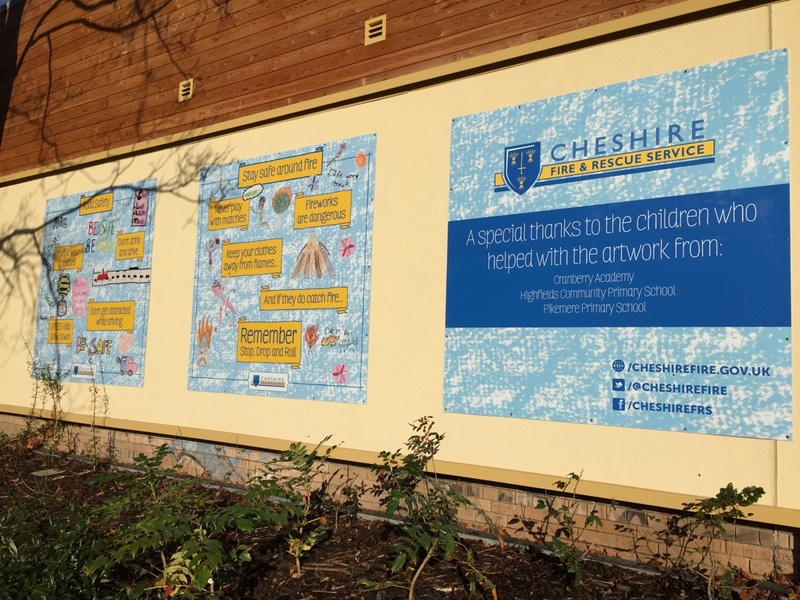 Three Alsager schools have been involved in a project with Cheshire Fire and Rescue Service to display artwork at Alsager Fire Station conveying key fire safety messages. Cheshire Fire and Rescue Service worked with the schools, Cranberry Academy, Pikemere Primary and Highfields Primary, encouraging the children to draw a variety of pictures to represent key fire safety messages. A safety advocate went into each of the schools and delivered a talk around road and fire safety to give the children the information they needed to produce the artwork ideas. These drawings were then given to a design company to use alongside key safety messages to create the five panels.